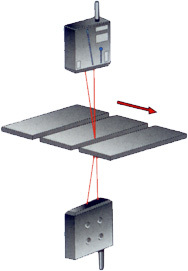 Example of using our non-contact laser sensor to measure dimension or height. 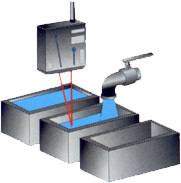 Another example of using two sensors to measure thickness using non-contact laser sensors. 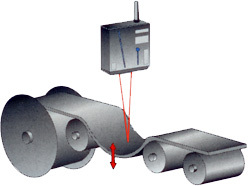 Example of using two non-contact Laser sensors to measure thickness. Example application of how to measure tension or slack with out non-contact laser sensors. 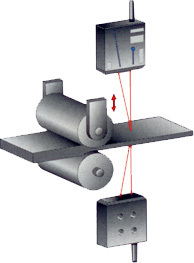 Example of how to measure wear or vibration with our non-contact laser sensors. 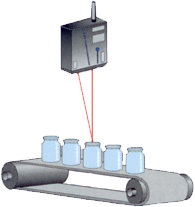 Example of how to measure level with our non-contact laser sensors.